my question is will the higher capacity 1800mah in the rcr-v3 outlast klic-8000? the klic-8000 i found is the exact same model that mtclimbar posted, are those reliable? only comes with 6months warranty, found another with 1 year warranty but better packaging and higher price. 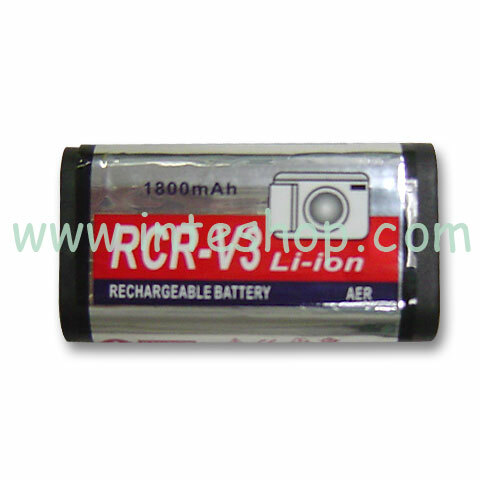 I have not compared KLIC8000 vs rechargeable CRV3. From my experience of using the R-CRV3 battery - exactly the same make with 1800mAH capacity as shown in your attached photo - on my Kodak C875, a freshly charged CRV3 can last for 300+ pictures and still going strong without triggering any low battery warning on the C875 camera. c875 is about the same consumption as z712? hmm i think 300++ is good enough, some how the seller ratedthe rcr-v33.7v. I think the power consumption of the Z712 can be lower than that of the C875. This is so if you use the electronic view finder (EVF) most of the time and the LCD sparingly. For the C875, I have no choice but the LCD only. A word of caution though - I have no hard evidence of the above speculation. Place holder - please ignore this post. www.calcellular has the KLIC-8000 batteries on sale right now (05/11/2009), so that might be a viable option.